In Part 1 of “What Did FDR Know?”, I submitted tidbits that FDR – in spite of his campaign promises of not sending American boys to war – DID secretly plan with Churchill on how to get America into war without damaging their political images. Their secret discussions were nearly made public by Tyler Kent but he was tried secretly in a British court and admonished to prison until war’s end. Secretary of State Cordell Hull, on November 29, 1941, tried to leak to a major newspaper man intelligence gathered about the Imperial Japanese Navy heading towards Pearl Harbor. In Part 2 of “What Did FDR Know?”, some history at Pearl Harbor before December 7, 1941 was provided as well as a brief history into cryptanalysis, the Japanese JN-25 and Purple codes and how the US Army and Navy broke them before and after Pearl Harbor. In this Part 3, I will attempt to present evidence on intelligence gathered BEFORE the surprise attack on Pearl Harbor. Part 4 will attempt to present evidence on the extent of our “listening in” on Imperial Japanese Navy battle plans post Pearl Harbor. Part 5 will attempt to present evidence on the imprisonment of Japanese and Japanese-Americans in the “war relocation centers”, as FDR called them. The Purple code also became another critical source of intelligence, especially the week before Pearl Harbor. Luckily, we had been intercepting and deciphering them since September 1939… more than two years before Pearl Harbor. The Oval Office, 1933. Criminy, isn’t that a telephone on FDR’s desk? 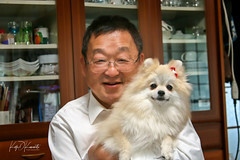 Just what was transmitted by the Japanese diplomats about Pearl Harbor and intercepted through MAGIC? What other events occurred either in relation to the intercepts or the looming signs of the attack on Pearl Harbor? Please note that in 1941, they did not have emails, fax machines, TV, FedEx or SMARTphones. However, they did have TELEphones. Remember those things? With respect to the Purple analog machines built from scratch, eight were made by the Naval Gun Factory in DC. Two each were used by OP-20-G and SIS; two were sent to the British. One was sent to Cavite in the Philippines. The last one was intended for Pearl Harbor – it was instead given to the British. It is likely true that even if Pearl had a Purple machine, it may not have been of too much value as it is reported the Japanese Consulate there did not have a deciphering machine. Selected MAGIC ciphers were indeed placed into locked briefcases then shown to the top ten men in power over war – including FDR, just like in the movies. Lt. Com. 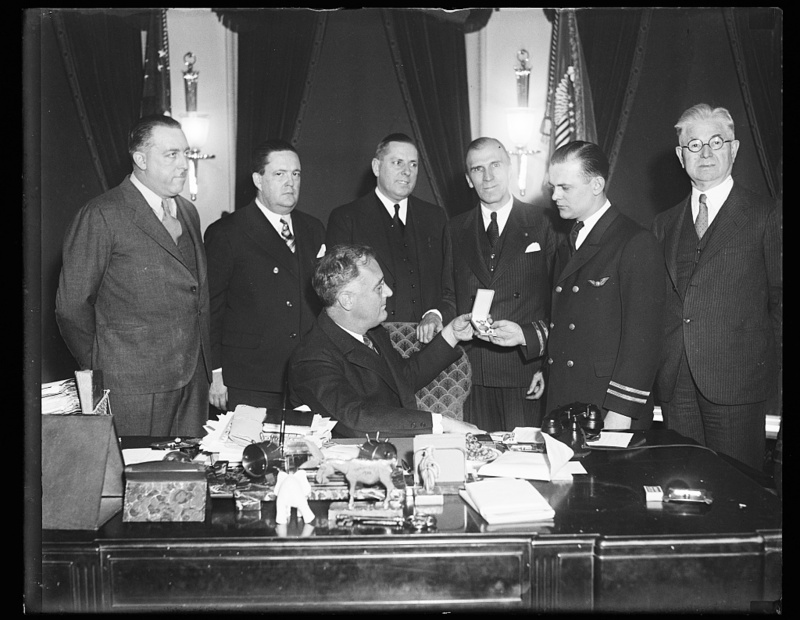 Arthur H. McCollum of Office of Naval Intelligence signed an eight point memo for FDR on how to coerce Japan into war with the US (aka “McCollum Memo”, the first page of which is shown at right). It was presented to FDR on October 7, 1940; FDR began implementing them the next day; all eight were eventually put into place. A Purple message was intercepted on January 30, 1941. 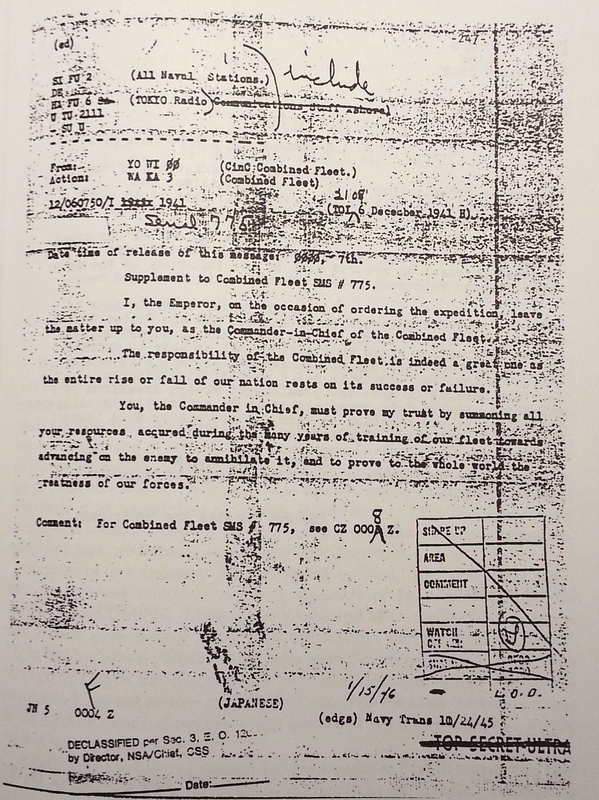 Tokyo instructed its diplomats to recruit agents covertly to spy on Allied movements and production. Issei and Nisei were mentioned for recruiting in the message. This espionage net could be for no other reason than to supply military information to Tokyo. Typed copy of the Purple transmission of January 30, 1941. Per “President Roosevelt and the Coming of War 1941”, FDR actually proposed losing six cruisers and two carriers at Manila in order to get into war but was stopped by Navy Chief Stark. On July 10, 1941, the US Military Attache in Japan reported the Imperial Japanese Navy was conducting secret training missions at Ariake Bay involving torpedo runs at moored ships. After the Atlantic Conference and meeting with FDR, Prime Minister Churchill cabled his Cabinet on August 14, 1941 that FDR was intent on getting into the war. A high level US Navy report was submitted on March 31, 1941 clearly stating that Pearl Harbor would be targeted, even so far as stating the Japanese Navy would utilize six carriers and surprise attack at dawn. That was because Japan strategically had few options and definitely could not have the Pacific Fleet to contend with. A Korean agent by the name of Kilsoo Haan met with Eric Severeid of CBS that there was solid evidence that Japan would attack before Christmas. In October, Haan was able to convince US Senator Guy Gillette of these plans. Gillette alerted the State Department, Army and Navy Intelligence and FDR personally. A coded message of September 24, 1941, from Japanese Naval Intelligence headquarters in Tokyo to the Japanese consul general in Honolulu, was intercepted and deciphered. (1) It requested the exact locations of all US Navy ships in Pearl Harbor; it even specifically asked to know if two ships were moored alongside each other. It was a map. Such detailed information would only be required if the Japanese were planning an attack on the ships at their moorings. The Japanese had not asked for such detailed information before. 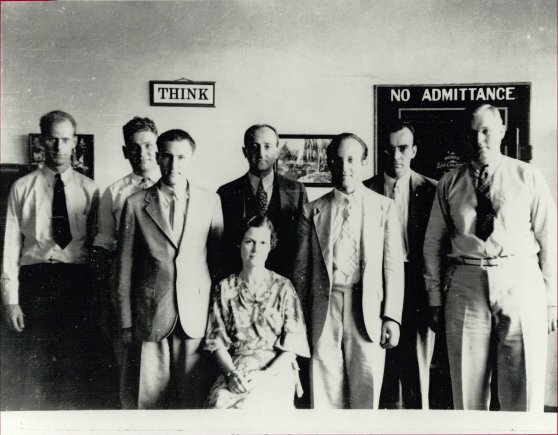 However, two top US officers, Stark and Turner, prohibited informing Pearl Harbor and Kimmel of this critical intelligence. A JN-25 message was deciphered on November 1, 1941. It ordered the Japanese fleet practicing the attack to continue drills against anchored warships at at Ariake Bay. Words included “to ambush and completely destroy the US enemy.” References to using armor-piercing bombs and “near surface torpedoes” was also mentioned. A Purple message of November 5th: Tokyo notified its Washington ambassadors that November 25th was the deadline for an agreement with the U.S. (to avoid war). Admiral Kimmel, following established Naval doctrines concerning unstable international conditions, ordered 46 (roughly one-half) of the Pacific Fleet out to sea in late November – specifically into the North Pacific. He did not inform Washington and when FDR found out, he ordered the fleet back to port under the guise such an exercise would provoke the Japanese. Undaunted, Kimmel had Admiral “Bull” Halsey put together a carrier-focused plan to protect Pearl Harbor which was never carried out. Instead, on November 26, 1941, Admiral Stark in Washington ordered Halsey to take to sea with his carriers; their mission was to ferry fighter planes to Midway and Wake Islands. Now you know why the carriers – the main target of the Imperial Japanese Navy – were “by luck” not at Pearl on December 7th. Imperial Japanese Navy’s carrier Kaga and battleship Kirishima at Hitokappa Bay, November 23, 1941. 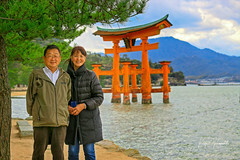 They would set sail in a couple of days for Pearl Harbor. Kaga would be sunk at the Battle of Midway. Kirishima would be attacked and would capsize on November 15, 1942 in Ironbottom Sound. British initially decrypted a message sent Nov. 19 setting up the “Winds” alert. The US decoded it Nov. 28. The message stated there would be an attack and that the signal would come over Radio Tokyo as a weather report – rain meaning war, east (Higashi no kaze ame) meaning the US. This was decoded by the British on November 25 and the Dutch on November 27. WHEN it was decoded by the US is still a national secret; however, on November 26, ONI reported the concentration of units of the Japanese fleet at an “unknown port” ready for offensive action. 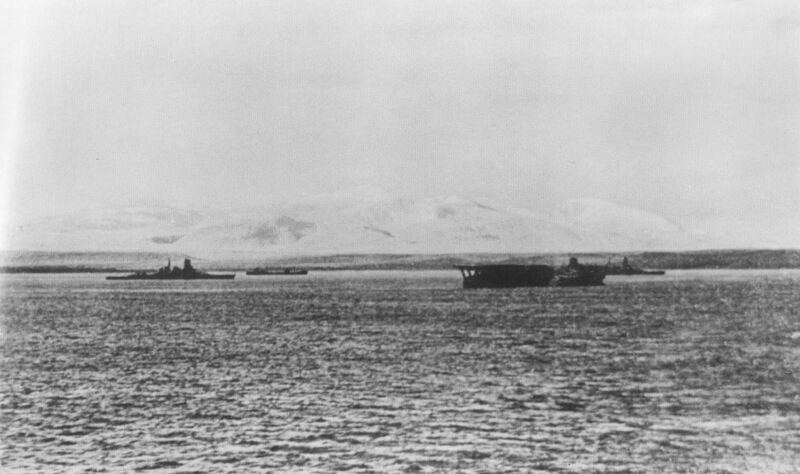 ONI knew the fleet had been assembled at Hittokappu Bay since November 22, 1941. Actual message sent to the Pacific on November 27, 1941 by Admiral Stark, Chief of Naval Operations. Please read the alert carefully and see if Pearl Harbor is mentioned. Kimmel and Short received this alert. A Purple intercept from Emperor Hirohito himself to the Combined Fleet commander – Admiral Isoroku Yamamoto. Sent on December 6, 1941 (Tokyo time). On December 1, 1941, the Japanese tanker Shiriya radioed she was “proceeding to a position 30.00 N, 154.20 E. Expect to arrive at that point on 3 December.” Key those coordinates into Google Maps yourself. This message in the National Archives destroys the myth that the attacking fleet maintained radio silence. Transmission serial numbers prove that the Striking Force sent over 663 radio messages between Nov 16 and Dec 7 or about 1 per hour. (The NSA has not released any raw intercepts because the headers would prove that the Striking Force did not maintain radio silence. On Nov 29 the Hiyei sent one message to the Commander of the 3rd fleet; on Nov 30 the Akagi sent several messages to its tankers. )(4) There are over 100 messages from the Striking Force in the National Archives. (5) Reports from Dec 5 show messages sent from the Striking Force picked up by Station Cast, P.I. ONI located Japanese fleet on December 1, 1941 by correlating reports from the four wireless news services and several shipping companies that they were getting strange signals west of Hawaii. Remember Johann Ranneft visiting ONI and being shown the location of the Japanese fleet north-west of Hawaii in Part 1? The Soviet Union also knew the exact location of the Japanese fleet because they asked the Japanese in advance to let one of their ships pass. On December 2 and 3, the passenger liner SS Lurline was en route from San Francisco to Honolulu. Its radio operator, following standard operating procedures, intercepted strong signals from the IJN fleet. The messages were so lengthy and numerous that the radio operator made out “JCS”, the call sign for the IJN HQ. The signals were plotted and showed the fleet’s location heading eastward and was north-west of Hawaii. When the USS Lurline docked in Hawaii on December 5, the radio intercept logs were immediately taken to the Office of Naval Intelligence at Kimmel’s Pacific Fleet HQs. The logs were never recorded as received nor ever seen again. Ralph Briggs was a qualified Japanese-speaking radio intercept operator and was working at the Navy’s signals intercept station early in the morning of December 4. Buried inside the official IJN weather broadcast was the code “Higashi no kaze ame (東の風雨)”, or “East winds, rain”. (See #18 above.) The operators had been briefed to listen for those words. Per SOP, he logged it then transmitted via a secure channel to Commander Safford, in charge of the Fleet Intelligence Office in Pearl. To substantiate this, he was given four days’ leave as a reward. (6) On December 7, he was already back stateside in his Ohio home and was noted to have said something to the effect that the Japanese must have taken a licking (because he had intercepted the coded message and mistakenly believed the Navy was ready). After the attack, both the log and related communications were “lost” as well many other documents that were in safes. As the story goes, Kurusu failed to type up the Japanese ultimatum in time. However, Secretary of State Cordell Hull had already read the Purple intercept decoded the day before as did FDR. In essence, Hull had to look…surprised… when Kurusu handed him the ultimatum on December 7, 1941 albeit late. But at least, he was indeed angry. We are now at war. November 17, 1941. 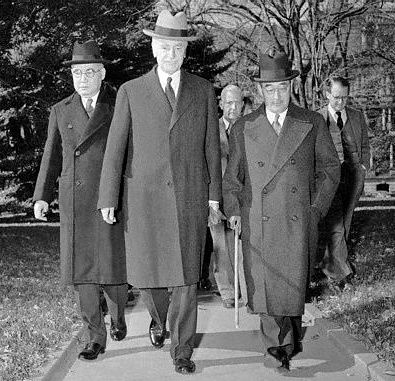 Cordell Hull, center, with Special Envoy Saburo Kurusu at right. Kurusu would be imprisoned at Hot Springs, NY until war’s end. The above is by no means any-wheres near a complete accounting of the events leading up to Pearl Harbor. And yes, there will be blanks in information flows, other communications that will show things countering the above, etc. But it does show how a government can disguise the truth or create lies for whatever purpose…even if it involved the deaths of human beings. You can imagine what is going on today. Benghazi. The complete killing of SEAL Team Six. Fast and Furious. It goes on. Did FDR blind the commanders at Pearl Harbor? Were Kimmel and Short set up to be the fall guys by denying them very critical intelligence or lead them to believe war was not imminent? Was Pearl Harbor alerted to the location of the attacking Japanese fleet? And to close this (long) story, a Hollywood movie depicted Kimmel and Short receiving a telegram of all things alerting them of the possible attack on Pearl Harbor – many hours after it was over. That is true. However, how it became a late telegram is another story all together. By all accounts, Chief of Staff George C. Marshall orchestrated a delicate ballet to delay even sending that telegram for the critical few last hours. In fact, he was difficult to nail down during the critical hours before the attack, arriving late to his office to go over the critical Ultimatum. Although known for near photographic memory, he claimed he was horseback riding but his aides testified after the war that he wasn’t. Further, his aides urged him to contact Pearl Harbor but delayed that decision by reading then re-reading the ultimatum and then asking superfluous questions about what method of communicating with Pearl would be faster, for example – several times. He chose not to use the “telephone” nor use a fast, secure Navy system but sent the warning through commercial wire, of all things. Even then, the warning language he dispatched was watered down. What did FDR know? What do you think he did not know? More to follow in Part 4 – key naval battles, code breaking and what really happened on the waters of the Pacific. I hope you’ll stay tuned. Part 4 is here. Area A. Waters between Ford Island and the Arsenal. Area E. West Loch and the communication water routes. There is nothing unusual about spies watching ship movements — but reporting precise whereabouts of ships in dock has only one implication. Charles Willoughby, Douglas MacArthur’s chief of intelligence and my dad’s big boss in the US 8th Army, later wrote that the “reports were on a grid system of the inner harbor with coordinate locations of American men of war … coordinate grid is the classical method for pinpoint target designation; our battleships had suddenly become targets.” This information was never sent to Kimmel or Short. (2) Per his book, “The Secret War Against Hitler”. (3) There are strategic evaluations asserting that not having US fighter aircraft sortied in great number against the invading Japanese fleet was “best” in the long run. Some armchair strategists claim that if the US carriers had “gone after” Nagumo’s fleet, indeed, our two vital carriers and her invaluable pilots would have been sunk, never to be recovered. That, however, is another story. (4) The Hewitt Report, page 474. (5) “Day of Deceit”, page 209. (6) There is some bickering between opposing viewpoints as to the validity of this point. After the war, Japan stated it never issued such a broadcast. Other historians doubt Briggs’ testimony as there are no documents. Thank you, Pierre. I hope folks will read, absorb then question on their own…and do more research on their own. I tried to tell someone this today in a short paragraph – next time I’ll just refer them to you. You have the facts right here!! Awesome! I hope they ARE facts, gpcox… In spite of facts, people will allow heroes to remain heroes, unfortunately. For one, I feel FDR prolonged the American recovery from the Depression with his decisions on the economy. Something very similar is happening today, I feel. It sure seems like it. We have had depressions and recessions before, but we always bounced back fairly quickly – now it seems it’s here to stay w/ just a peek at improvement now and again. Oh yes, we are on the same track! 😡 At least someone else finally stepped up to the plate and spoke out loud about this “man” (Ole King Roosevelt himself). Who else would be arrogant enough to stay in 4 terms – after he died, we had to add an amendment to keep that from ever happening again. Pierre, you are always too kind. Merci beaucoup. So men want to salvage their political image at the cost of thousands. Bastards. Well, we may want to expand “men” to “women”, too, Chatter Master. 🙂 But yes, people die on account of failures by our own elected officials. Our national politicians have lost track of their responsibilities to us – instead, they focus on themselves and their friends. That has long been an issue of mine. Elected servants are not elected gods. Horrifying. To me all this proves the long-standing rumor that the US knew of the attack on Pearl Harbor before it happened. It seems there is always at least a grain of truth in rumors. You have obviously spent a lot of time researching all of this. I’m waiting to see your book published. Another story where the media and Roosevelt lovers have kept the truth silent. They still think he helped stop the depression, too! This series just best better and better! Indeed… and if you are adept googling, many studies exist on the topic you wish to read more about. Stay tuned! Thank you, sir. Best to Peggy. My but you have done a lot of work to compile so much evidence. I think it’s all too plausible that Roosevelt knew plenty, but I am not completely sure what I believe about that. I think the way I keep from getting too cynical is always holding on to the idea that there are others ways to interpret action or inaction. I do think that all world leaders are very human and make poor judgements from time to time, sometimes with clear motives and other times with the tools of power intended to blind the public. There is a lot here to think about, Koji. Excellent work!